Lighthouse condominium home for sale in Gulf Shores Alabama. Unit 1515 is positioned on the 15th floor with a large covered balcony overlooking the Gulf of Mexico!! 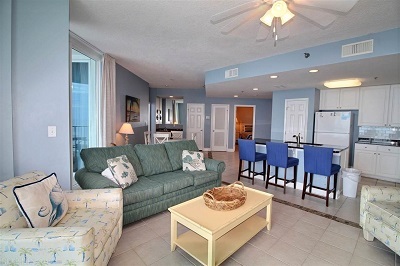 When entering this 3BR/3BA unit you will be drawn to the Big Gulf view and open floor plan. Fully furnished and ready for you! The amenities at The Lighthouse are excellent!! Come see for yourself today! The complex is located just a short walk to restaurants, entertainment and shopping. The unit is currently in a rental program and is a strong producer. Here is your chance to own a piece of Paradise!